For those without comedic tastes, the so-called experts at Wikipedia think they have an article about Protist. Kingdom Protista or Protist, is a group of animal-like, plant-like and fungus-like organisms that are bound together with.... Aww forget it. Scientists created this category because the some single celled lifeforms and pond-scum-dwellers were not exactly animals or plants, but they were not bacteria either. 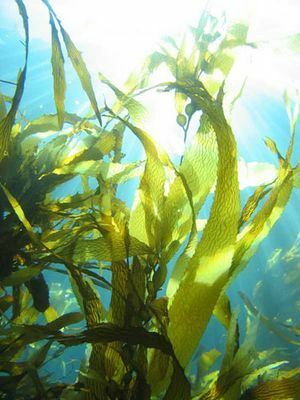 As a result, giant kelp is technically more closely related to the paramecium than it is to grass. From Kosus to Kelp, these protists range from gigantic humanoid-looking creatures to microscopic organisms like Amoeba which causes fever or Plasmodium that live symbiotically with us and help us terminate Mosquitos. 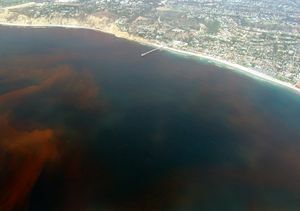 There are over 200,000 living species of Protists, living among humans, living in the sea and freshwater. 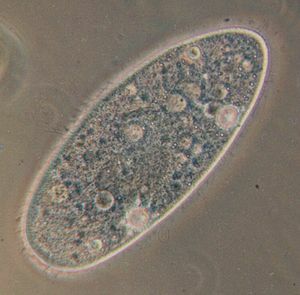 Some highly-intelligent Protists, like those in Phylum Kofodarlorita, speak a highly sophisticated language similar to that of humans. Most, however, are mindless blobs that bump into things and eat them. 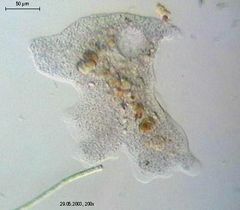 Pusedopods in rhizopods and kofolorites resemble the limbs of the human body. These pseudopods are permanently extended and they are used for walking and crawling. This explains why rhizopods and kofolorites are the fastest protists ever. During World War II, the Allies tried to eliminate the germs in Germany. Many of they perished but a minority found that by exchanging DNA with these Pre-tists, they become stronger and resistant to the Allies. To take their revenge, they move to the military base in the Republic of Lee Kingdom and reside there. Today many of these Protists are highly effective weapons as many of them look like harmless plants while many of them can only be seen through a microscope. This page was last edited on 22 December 2015, at 06:20.